12 In. White Latex Balloons - 100 Ct.
12 In. Red Latex Balloons - 100 Ct.
i used these balloons for my husband's 50th birthday party. These balloons lasted a long time!! the air didnt leak out of them or anything!! they looked great too!!! I put them with White and Grey. Written by Nellie on October 05, 2010 for 9 In. Silver Pearlized Latex Balloons - 20 Ct.
WE USED THESE BALLOONS FOR OUR HIGH SCHOOL DANCE AND THEY CAME OUT REALLY NICE AND LOOK ED REALLY NICE WITH THE BALLOON WEIGHTS THAT WE BOUGHT TOO. THEY LASTED A LONG TIME, EVEN THE ONES THAT FLOATED UP TO THE CEILING!!!! Written by JOHN DEERE on October 05, 2010 for 9 In. Assorted Latex Balloons - 20 Ct. I got these balloons for my son's first birthday party because he loves balloons. They were a big hit with the adults too! they color was sharp and they lasted a long time at the party. my son is still chasing them around the house and it has been almost 2 weeks! Written by Mizz Texan on October 05, 2010 for 9 In. Assorted Latex Balloons - 20 Ct. I used these balloons for my daughter's sweet 16th. I attached them together to make an arch for the doorway. They looked soooooo gooood!!! They held together really nicely the whole time! Written by Sassy Vixxxen on October 05, 2010 for 9 In. 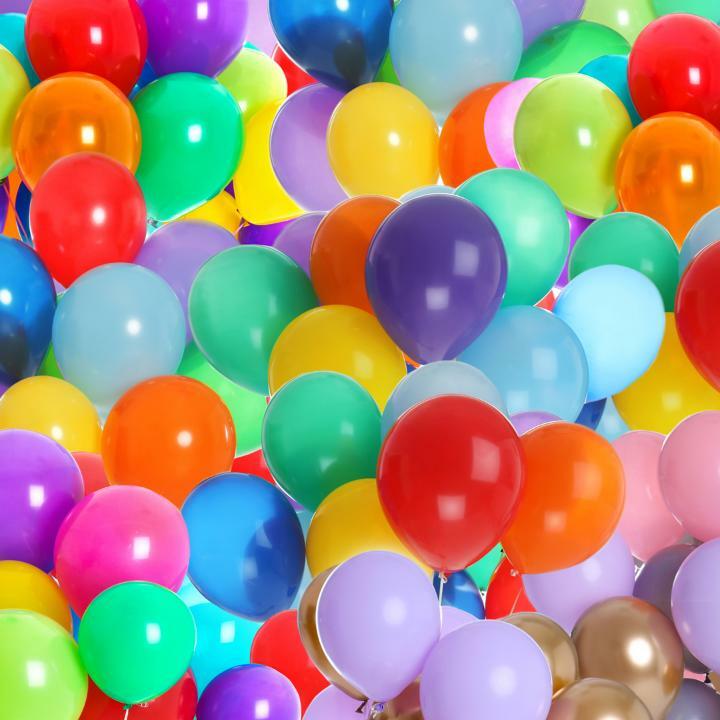 Assorted Latex Balloons - 20 Ct.